The benefits are dewy skin, faster cell turnover, and a smoother texture. The treatment is painless and results are visible after just one treatment. A course of treatment isn’t needed but the treatment can be carried out every 4-6 weeks to keep your skin feeling smooth and fuzz free. The treatment includes either an ‘Instant Painless Peel’ or ‘Bionic Oxygen Treatment’. I can recommend which one is best for your skin before carrying out the procedure. 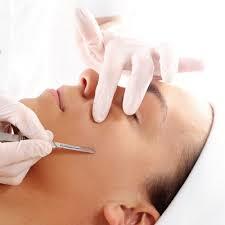 Why not add a CACI Non Surgical Facelift onto your treatment? Find out more about our ‘cocktail’ treatments.